If you’re thinking about adopting a dog when you have a cat, do you visualize one of those cute photos of a dog and cat lovingly curled up in the same bed or does the expression “fighting like cats and dogs” come to mind and make you a little apprehensive? Yep, it could go either way but if your cat is already familiar and comfortable with dogs, you’ve got half of the battle won and if you’re adopting a dog that was raised around cats, that’s even better. There’s no guarantee that a new dog will get along with your cat but these tips should help improve the odds. Puppies and kittens are a good combination. If both pets are young, they adjust and accept each other quickly and can form positive impressions about one another, but read on if you have an adult cat. Puppies and older cats can be a challenge. Exuberant puppies can sometimes be a handful, even for us humans. Adult or older cats often find a young pup’s antics annoying and stressful. 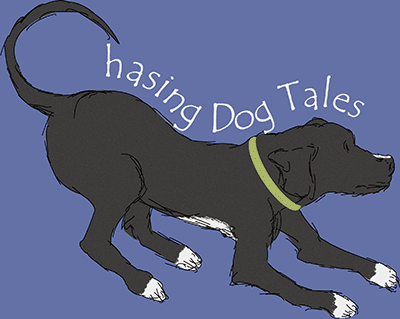 Inquire about the dog’s history with cats. Shelters may not have any history on some dogs, but many perform temperament testing on each dog before offering it for adoption. Ask if the dog has been tested around cats. If you’re permitted to take the dog for a walk, stroll through a local park or neighborhood with small animals such as cats, squirrels or birds. A dog that shows aggression, barks excessively or pulls hard towards small animals may not be a good adoption candidate for your cat. Expect your dog to be accommodating. Since dogs can more easily injure a cat and are also more easily trained, expect your new dog to make the most effort in creating a peaceful coexistence with the cat. A dog that already knows some basic commands such as Come or Leave It will make the transition easier. Avoid dogs with high prey drives. Even though the dog is expected to adjust more than the cat, it’s unfair to put a dog with intense stalking and chasing instincts in a household with a cat. The chance for a harmonious relationship between the two is slim. Keep in mind that terriers and sighthounds were bred to chase vermin or prey and herding dogs may enjoy herding your cat. Check out this post on Dog Drive Types to learn more. 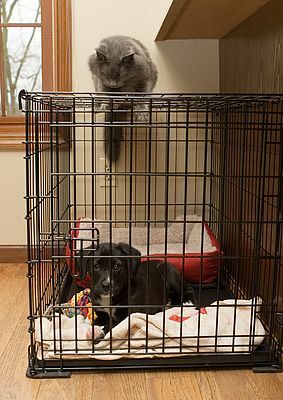 Make sure the shelter allows you to have a trial run with the dog in your home so you can ensure the pup and your cat are compatible and comfortable with each other. You may want your cat and dog to be best friends and maybe even play together, but if both are calm, content and living together peacefully, consider the relationship a success! When you’re ready for the big day, take your time and stay calm as your proceed through the steps below to introduce your cat to her new housemate. Some cats take quite awhile to adjust to a dog in the home and you’ll want to be watchful that your cat continues to eat, drink and use the litter box normally. A few weeks before adopting your dog, create a safe zone inside your home for your cat to use while adjusting to the new dog. Make it only accessible to the cat so she has a place to hide and relax if she feels overwhelmed. The previous owners of our home created this cat portal which leads to the utility room where we kept our cat’s food, water and litter box. Baby gates with integrated cat doors are also ideal for blocking off areas from larger dogs. Place your cat’s food, water, litter box and a comfy bed in the safe zone. Trim your cat’s nails in case she decides to take a swipe at the dog. First introduce your dog and cat by scent only by putting the cat behind a closed door and allowing them both to sniff each other under the door. If your dog is overly excited or intense, call him away and have him sit or lay down, then give him a treat and some praise. The goal is to have them both associate good things with the smell of each other, so push some tasty treats under the door for your cat too. When your dog can be calm around the door, allow them to see and smell each other but be physically separated. A baby gate is perfect for this step or you could put the dog in a crate. Again, redirect the dog if he’s too excited or fixated on the cat, then give them both praise and treats. This is a great time to start training the Leave It command if your dog doesn’t already know it. When both pets are calm and comfortable with seeing each other up close, allow them to explore the same space while keeping the dog on a leash. Never restrain your cat, allow her to explore freely and hide if she chooses. Once again, redirect your dog if he tries to chase or intimidate the cat, then praise and treat. If this step is challenging, try taking your dog for a long walk first or give him a frozen, stuffed Kong to work on and occupy his attention. Once the dog and cat are both comfortable around each other, they can be allowed to roam freely around the house while you’re at home. Many people with dogs and cats isolate their pets when they leave the house unless they’re extremely comfortable with how well they get along together. A cat may occasionally hiss or take a swipe at an annoying dog and a dog may occasionally chase a cat that’s teasing or provoking it, but they usually learn quickly from each other about what’s tolerated. 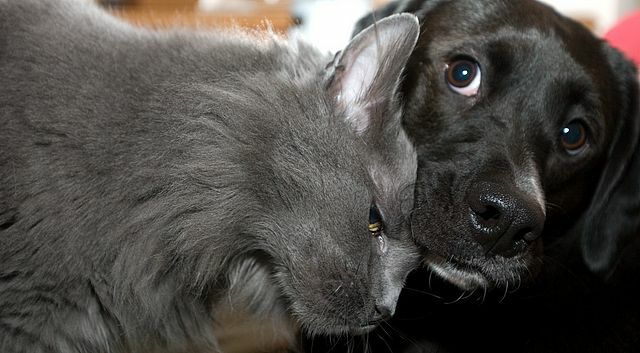 If things aren’t going well between your dog and cat, contact a professional trainer to give you a hand. Haley was rather surprised to be confronted in this way by a cat, ambushed by love! Do you have both dogs and cats in your house? 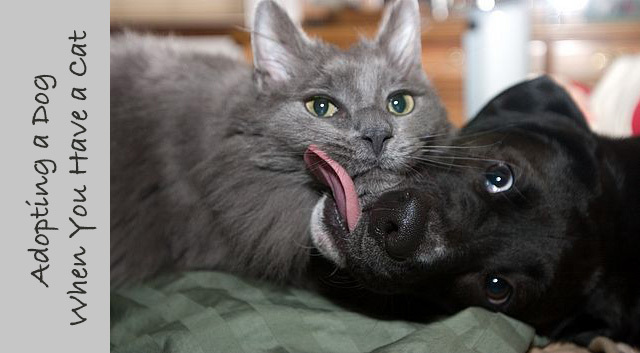 Share your tips for adopting a dog when you have a cat! Update! I just noticed Lindsay from That Mutt posted a great article today on How to Keep the Dog out of the Cat’s Litter Box. She’s got some great tips if you’re having this problem with your dog. I think your tips overall are fantastic but I did things slightly different. When we got our dog, our cat had been living with us for 3 months, they were both approx 8 months old and both had lived with dogs and cats. When we brought our dog home, we left him in his crate and let our cat walk around the crate and “investigate” Our cat hissed ONCE and ONLY once (and to this day, almost 8 yrs later, he has never hissed at our dog again) They adore each other. I did NOT separate them at all…but I did baby gate the kitchen (where my cat eats), and the back half of our condo so that our cat could have a “safe haven” as you suggested. We still keep it that way…primarily because our cat’s toys (potential choking hazards for our dog), and the cat litter are in the other part of the condo. That’s fascinating Caren, I’m guessing the perfume made all of you have the same scent which made it easier for the dog and cat to view (smell) you all as the same, so to speak. How interesting! I’m glad it worked out so well and the two of them adore each other. I’m filing this one away in my notes to try one day. Thanks for the great suggestion and comment! Well, I’m not planning on getting a cat anytime soon, but these are good tips to anyone that is. Thanks Slimdoggy, Jack and Maggie might be relieved to hear that, haha! Fabulous tips!!! Thanks for sharing! Great tips, Elaine. You write such well thought out posts. 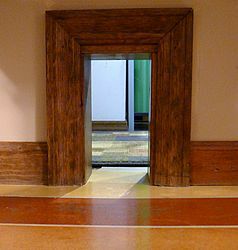 I love the cat portal in your house. My dog and cat get along well, but I still keep a bathroom blocked off for my cat and her food and litter box. Otherwise, my dog would eat the cat’s food and get into the litter box. What a nice compliment, thank you! 🙂 Yes, there’s always that issue of dogs raiding the litter box. Haley tried that too when she was younger, yuk! It kind of makes you think twice about those sweet doggie kisses, huh? Thank you for sharing this post. You gave some great tips for introducing a new dog to a cat family. We are going through this process with our new puppy and my two 7 year-old cats. I hope things are going well! You’ll have to share your secrets and tips in a post soon. Hopefully having two cats will help keep the puppy in line, haha! Great tips and adorable pics! Thanks for sharing. Thank you and good luck again in the upcoming film festival! We adopted our puppies when my cats were adults and at first it wasn’t too bad, but as the dogs got bigger and their herding instincts kicked in, it became impossible. Today, the cats get the run of the house when the dog are outside. They can even go outside when the dogs are in their yard. Otherwise, the dogs are downstairs, the cats are upstairs and there’s a baby gate to separate them. A big treat for the dogs is being allowed to go upstairs to see the cats. They can only go 1 or 2 at a time (we have 4 dogs) and they love it. The cats are very tolerant and I appreciate that about them. Great post, I won’t be getting a cat anytime soon as one of mine (Moleque) has a high prey drive but this is great advice for anyone thinking about mixing cats and dogs. Not long after reading your post, I came across this great April Fools from national UK Dog Charity Dogs Trust : http://www.harrogate-news.co.uk/2015/04/01/dog-charity-to-recruit-fake-felines-to-help-find-homes-for-homeless-hounds, made me smile! Haha! I loved this part, “The charity is urging dog lovers with a background in drama or a penchant for pretending they are cats to apply for this exciting opportunity.” Yep, I’ve been known to meow at Haley on occasion, lol! Another thoughtful, well -written article. I didn’t know what I was doing when I got my first puppy and there was already an old cat at home. Poor kitty :-> They ended up having each their own 1/2 of the house. This story would have really helped the cat’s sanity and mine. Thank you so much, Leah. 🙂 Some dogs and cats would never get along anyway and maybe that would have been the case with your first puppy and cat, but it sounds like they found some peace in each half of the house. It’s important to me that my dog/s and cat/s are able to live comfortably and safely together. I had my cat Scout first, and I adopted my dog Ace when Scout was about 2 years old. Ace was 1, so they were both pretty young. It helped that Scout had some experience with dogs from visiting my parents and having friends’ dogs stay with us. Ace had lived with a cat and his previous owner told me he was very gentle (annoying at times, but gentle). I observed Ace with their cat, and he was in fact gentle but liked to nose bump the cat to get it to play. I bet that was so sweet coming home the first time and seeing them curled up on the couch together. I wish I could tame Haley’s desire to chase the poor cats that come strolling through our yard sometimes, but at least she doesn’t want to hurt them. Such a great informative post, pinned it! My cat and dogs get along great, because the dogs found the kitten in the marsh when it was 3 weeks old, ended up breaking it’s leg, I kept it nursed it back to health and it was imprinted from the dogs so she thinks she is a dog. Thanks for sharing the post! What a great story about how your cat came into your family, I bet she loves being one of the big dogs, lol! Great tips here. My mom and I used to live next door to each other in a duplex. Many years ago she had a cat who I adored and who absolutely adored me. Then I got Sampson. The two never met, but I know Stevie watched me walking Sampson from a window and shortly after that, Stevie got outside and ran off and we never found him. I so wish there had been these tips back then. That’s so sad about what happened with Stevie. I’ve heard of other cats that have done that, but it must have been heartbreaking. Oh my gosh, that’s hilarious just thinking about how that would go over in the workplace, haha! Great post for cat-folks who are looking for a pup. I wish we could have one of each, but (a) I’m allergic to cats and (b) Rita hates them. Sigh. Maybe some day! That sounds like two good reasons to pass on a cat in the house, lol! Wonderful article Elaine! Good to know I didn’t do everything wrong. My 4 yr old Puggle came to live with my 13 yr old cat and my also older self the week after this past Christmas. I knew we would have a BIG adjustment period but I have been blown away at how these two characters have adjusted to each other. I moved the cat into a small spare bedroom and put a baby gate up to keep the dog out of her food as well as the litter box. He just loves kitty fritters. It also gave her somewhere to go. He is so laid back that he just watches her go through a room and wonders what’s with all the commotion. I don’t anticipate then ever occupying the same spot during my lifetime but they have started spending time together in the same room. He’s on my feet nd she is in my lap. We’ve come a long way in 4 months! That’s fantastic Sharon! One day you may come home and find them cuddled up together in the same bed, you never know. I’m so glad things are working out so well and you’ll never need a foot warmer or blanket now when it gets cold, haha! We had all 4 cats first so the main dog requirement was that it had to be good with cats! We brought them through the cat room at the shelter to gauge their reactions. So glad we did, the shelter had been told that one dog was good with cats, turned out not so much! He was adopted by another family with dogs but definitely no cats. I’m glad the shelter was able to help find the perfect dog to get along well with your cats. It would be horrible to bring home a newly adopted dog and then find out the hard way that there was an issue. My son has been asking me to get him a dog even though we already have a cat and so I am really nervous about adopting one. However, I really appreciate your tip about avoiding dogs with high prey drives. I definitely do not want to get a dog that would stalk or chase our cat, especially since our home was the cat’s territory first. What type of breads would you consider to have high prey drives? Prey drive can be an individual thing though with some dogs of the same breed having higher prey drives than others of the same breed, but at least this will give you a starting point. Thanks for stopping by and good luck with searching for your new dog. ? Thank you so much for providing me with the above link! I will check it out and hopefully it will help me find the right dog for us.